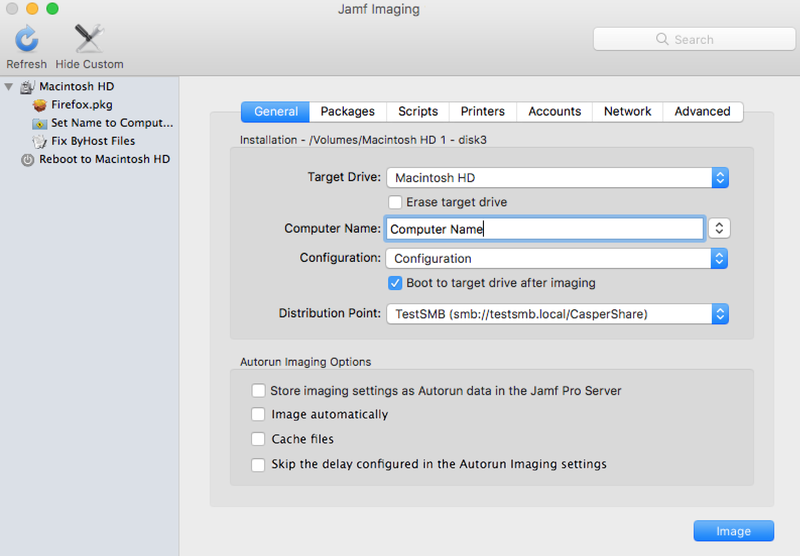 Autorun imaging allows you to store imaging settings in Jamf Pro so you don’t have to configure them at imaging time. 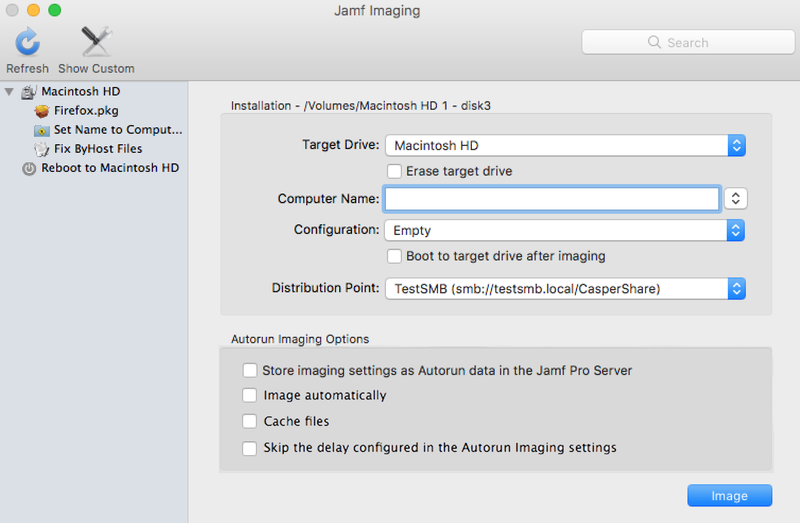 It also allows you to fully automate the imaging process. For more information, see the Automating the Imaging Process Knowledge Base article.